You Have Mercury Poisoning – Now What? | Eat Live to Thrive! You Have Mercury Poisoning - Now What? What if I told you that you are suffering from mercury poisoning? If you are like the vast majority of average 21st century citizens of planet earth who ingest commercially produced foods you are most likely living with increasingly dangerous levels of mercury in your body that is affecting your vital organs, especially your brain. Newsflash! Mercury has long been known to be found in our ocean’s fish supply, but it is increasing to alarming levels in most all other food sources, even the vegetables we eat. When I say commercially produced foods, I mean like those foods sold in supermarkets that are provided by large food distribution companies. Before you think you are out of the woods because you buy your food from local producers, the levels of mercury in ANY foods that are not certifiably organically grown have the same problem with heavy metals like mercury. If you eat organically produced foods, there is a far less chance that you will be consuming toxins like mercury in your diet. The shocker for me was to learn just how many people are being affected by mercury poisoning and the symptoms of it that we see all around us. Over-exposure to mercury can cause a world of hurt on the human body. 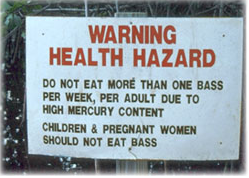 Tens of millions, if not more of those living in the United States are suffering from mercury toxicity. So, what’s the big deal about mercury? 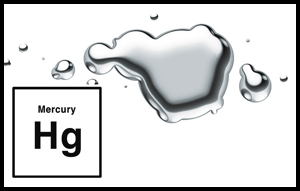 Mercury is a neuro-toxic heavy metal. Over-exposure to it can cause a world of hurt on the human body. It has been found in almost everything from packaged processed foods to the very soils that our fresh food supply is grown in. 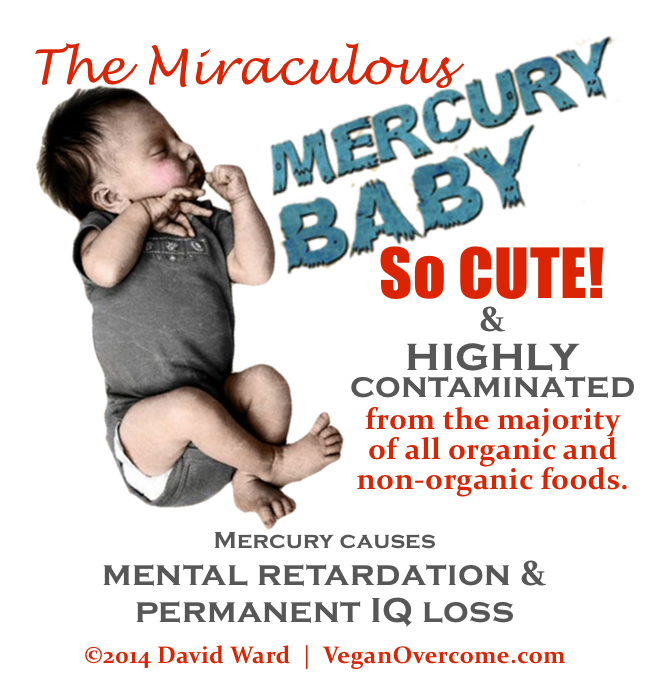 If you buy non-organic industrially grown foods, exposure to mercury in inevitable. Research has identified trace amounts of mercury in everyday packaged foods made with high–fructose corn syrup. In one investigation, mercury was found in 31 percent of the products tested. Some of those processed foods included fruit punch mix, cola drinks, salad dressings barbecue sauce, and ketchup. The health concerns are alarming, but most often overlooked by even ‘health-conscious’ consumers. When ingested, even in the smallest amounts, mercury accumulates our vital organs like the liver, kidneys, and – are you ready for this? Mercury tends to build up in the brain as much if not more than other organs. A few of the many adverse effects of mercury poisoning, especially in the brain, is that it damages cell DNA and disrupts the cellular function in our bodies that result in symptoms like concentration difficulties, volatile mood swings, low energy, and severe headaches. I know what you are thinking. The bad news is that if you are reading this, and do not make a willful act to make the necessary changes in your food intake, you will suffer from the irreversible effects of mercury poisoning. The good news is that if you are willing to make some simple changes in your diet and lifestyle, it is entirely possible for you to not only prevent additional damage in your body from mercury, but to reverse the symptoms of it. Here are some immediate steps you can take to reduce the amount of mercury in your body and to naturally heal your body from the aeffectsof mercury. Dramatically reduce, if not end your dependency upon processed foods. This is probably one of the most important things you can do for your overall health. Processed foods are difficult to digest to begin with, and have little nutritional value that actually feeds your body with the enzymes, vitamins, and minerals that your body needs to fight off disease, infection, and sickness. Start replacing the fresh and live foods you presently buy with certified organic foods. Organic foods have a higher nutritional value than industrially grown vegetables which represent over 95% of our food supply. Increase your protein levels, especially non-mercury laden proteins like those found in vegetable-based protein sources. Let me get this out of the way right up front. Yes, vegetables have protein. LOTS of high quality protein with complete amino acid chains that your body loves! This is one of the biggest excuses that an animal meat addict has for why they cannot become a vegetarian. Before I lose you here – speaking to meat lovers – I am not saying you have to become a vegetarian to reverse the damage of mercury poisoning in your body. I AM however saying that if you buy meats that are not organically fed and organically raised, or use whey protein which is not organically produced and manufactured, you are ingesting mercury with every bite – fish, poultry, and dairy included. Here is why you need to increase these healthy proteins in your diet. Glutathione, an antioxidant molecule manufactured in the liver, normally attaches to mercury and helps carry it out of the body. Glutathione, an antioxidant molecule manufactured in the liver, normally attaches to mercury and helps carry it out of the body. The problem is that this constant attachment of glutathione to mercury in order to get it out of the body depletes your glutathione levels. This is not good since one of the results of low glutathione in your body is the inability of the body to purge our body of the mercury that accumulates. By increasing your intake of healthy, non-mercury carrying proteins, you can help increase glutathione production in your liver. A high quality vegetable-based protein can help. I get my vegetable protein from a combination of yellow pea protein, hemp seed protein, and brown rice protein. There are other vegetable sources of protein that I get through my normal vegetarian diet, but for most who are starting out on the road to better living and the restoration of their youth and vitality, I recommend that protein supplementation be a part of one’s diet, and include yellow pea protein, hemp seed protein, and brown rice protein. Complete amino acid chains contain an amino acid called cysteine. Cysteine fuels the liver’s glutathione production. Ms. Lipski notes that several studies show that people who supplement with powdered proteins containing high levels of cysteine can increase their tissue concentrations of glutathione by as much as 70 percent. 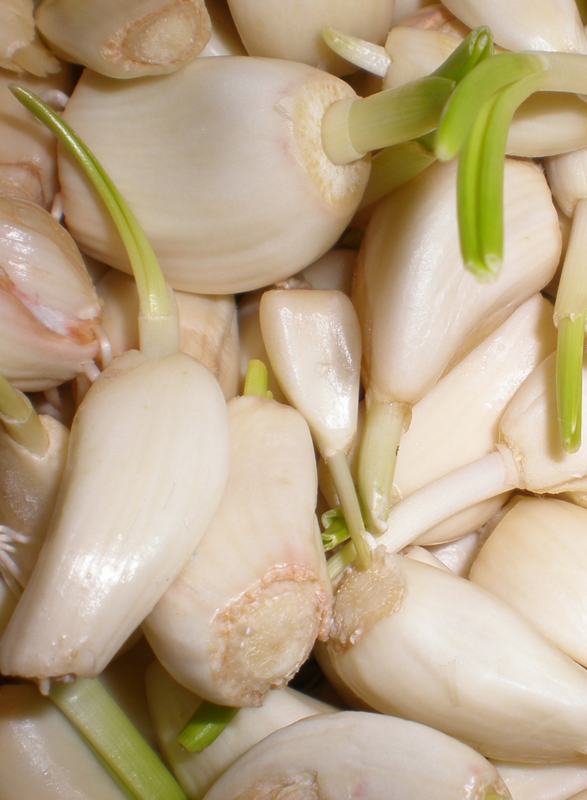 Garlic is one of the best things you can eat, especially raw or only slightly sautéed. You can even buy garlic capsules if you don’t want to be chewing on garlic cloves. According to top scientists at Bharathidasan University in India, garlic has organo-sulfurs (as do onions) that aid in shielding the central nervous system from mercury toxicity. Their research shows that the sulfur-containing compounds found in garlic and onions bind to mercury before it has a chance to attach to bodily cells. This means that instead of mercury accumulating in our bodies, mercury is disposed of naturally. If you don’t as a general rule eat a lot of garlic, some of the best ways to consume it on a daily basis is as I had mentioned just a moment ago, is to take garlic capsules daily. Some of the ways that I get my daily garlic fix is through raw hummus that I make as one source of my protein. I just mince up a few cloves of fresh garlic and add it to my hummus as i process it in my food processor. If you want to eat more healthily, but don’t want to do the vegetarian thing, try making an egg white omelet with 3 or 4 diced up and sautéed garlic cloves that you have lightly sautéed with some red pepper, spinach, and onion. Stir fry veggies are a great way to incorporate garlic into your diet as well. I make a killer good garlic, poppy seed, cayenne pepper, and lime salad dressing that uses LOTS of finely diced garlic in a warm olive oil base for my salad dressing. I also make fresh salsa that uses lots of garlic as well. 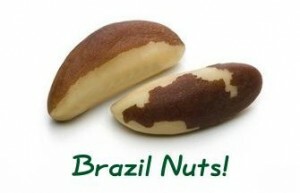 Selenium found in Brazil nuts detoxifies your body from mercury as well. Selenium combines with mercury to form what are called mercury selenides. These are biologically neutral molecules that do not damage cells or make their way into your brain. There is a great article in “The Complete Natural Medicine Guide to Women’s Health” by Robert Rose (Pub 2005). If you can find yourself some organically raised turkey or chicken, or you like cottage cheese (organic of course), these are all adequate sources of selenium, but eating just two brazil nuts a day will increase your selenium levels by as much as 60% which is substantial enough to be equal to the benefit of taking a selenium supplement. This is a major issue right now and our children are suffering greatly because of it. Thanks for this article on how to detox naturally. Any other information on this topic would be really appreciated! Great article David! So nice to see you are doing something so important as educating others in health and nutrition. Wonderful! Very interesting! I think I know what’s wrong with me now! LOL Need to stop eating thermometers! As always, thanks for making me think aboout my health David! Wonderful web site. Lots of useful information here. This article is shocking! I am sending it to everyone I know. Besides these ways, is there a product that can be purchased that can work more quickly? Thanks in your service here! Thank you very much for this! This is information that needs to be shared with everyone. Every time I visit I learn something new that makes me more committed to fa,ily’s health. I have also been enjoying my Veggie Chronicles newsletter. Again, thank you. Great article. Thaks for making my life healthier. You guys really do make a difference and its great that you don’t charge for so much of your information like others do. my wife and I are happily healthier because of your Veggie Chronicles newsletter. Easy to understand and easy to see progress, one daily decision at a time. It?s really a nice and useful piece of information. I am glad that you just shared this useful info with us. Please keep us up to date like this. Thanks for sharing.